A rarely seen Buff-fronted Owl was a very unexpected visitor to the Urraca Lodge in Fundación Jocotoco’s Jorupe Reserve in Ecuador. It burst through the mosquito netting into the main eating area, presumably after the insects flying around the lights. 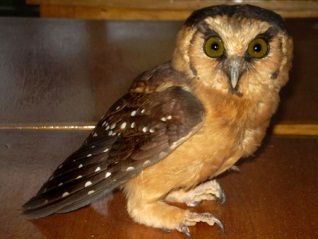 The Buff-fronted Owl (Aegolius harrisii) is small – about 9” long – and short tailed. It breeds in the mountain forests of South America and naturally ranges through the deciduous forest of the Tumbesian region of south west Ecuador, where Jorupe Reserve is located. The owl visited Uracca Lodge in February. It was the first sighting of this owl on Jorupe Reserve and it caused quite a stir. Once photographed it was safely returned to the wild by the rangers. 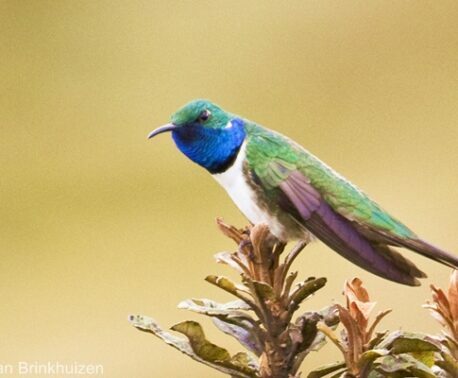 Although this species has a relatively wide range in South America it is rare and always on a birder’s ‘wish list’. 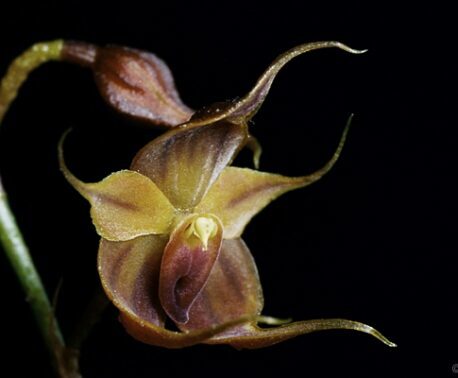 Little is known of its status in the wild. Dr Nigel Simpson, trustee of World Land Trust, and a board member of Fundación Jocotoco confirms that the Buff-fronted Owl is extremely elusive, making the sighting at Uracca Lodge all the more extraordinary. “There are a handful of records from both sides of the Andes from Colombia to Bolivia, nothing from the Amazon basin, and then another handful of records in the eastern side of South America from Venezuela through Brazil, Paraguay and eastern Argentina. Conserving the Tumbesian forest of Jorupe for the Buff-fronted Owl – and for nearly 200 other bird species that this reserve and its habitat protect – is vital. Much Tumbesian forest is already cleared, badly degraded or at risk, and only 5 per cent of the original forest remains. World Land Trust assisted in the purchase of Jorupe Reserve and is currently supporting a ranger and a reforestation programme.